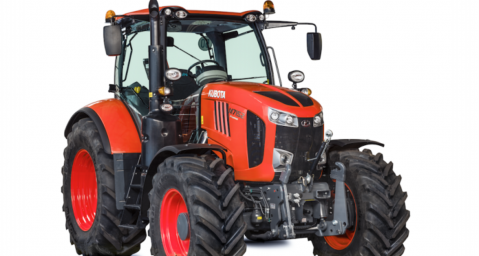 Market leading tractor and groundcare equipment solutions provider, Kubota, will be exhibiting its new Grand L40-II Series deluxe tractors at Saltex for the first time to the market on Stand C070 at the NEC in November. The new innovative Grand L40-II model features an integrated cab, designed specifically for operator comfort and increased productivity. Kubota’s newly branded HST Plus hydrostatic transmission advanced technology also features; delivering enhanced power, performance and durability. The tractor has been developed to suit a wide range of user requirements, ideally suited for use by golf clubs, landscaping professionals, local authority maintenance and for the management of professional sports facilities. Adrian Langmead, Business Development Manager for Kubota’s Groundcare division, commented: “Our ride-on mowers and compact tractors have always been popular with maintenance specialists working in the turf care and landscaping sectors, so the launch of the Grand L40-II Series will further enhance our position in this sector as we continue to invest in new product development. Also exhibiting at the two-day event is the 34HP STW 34 tractor, designed specifically to take on an extensive list of jobs ranging from mowing to loading work. Users will have the benefit of standard spec power steering and a Bi-Speed Turn feature to combat the common problem of tyre drag and turf damage when wheel speeds are increased. Kubota will also be showing its 60HP M6060 with 18×18 multi-stage transmission and hydraulic shuttle; plus the economical 26HP B2650 compact tractor, which features HST or manual transmission options for optimal control and comfort. Kubota’s powerful KX019-4 mini-excavator will make an appearance at the two-day event, prompted by growing demand for compact construction equipment across the groundcare industry. Kubota is sponsoring this year’s Best Artificial Pitch of the Year award at the IOG Industry Awards, taking place on the night of the 4th November following the first day of Saltex. 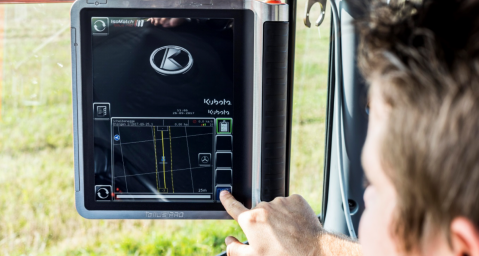 Visitors will also be given the opportunity to learn more about Kubota Finance, which is a new solution for customers wanting to take advantage of the most flexible financial funding packages on the market. 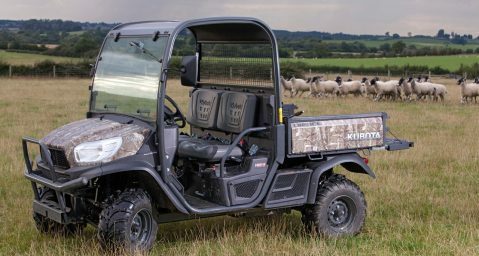 In addition, guests will have the opportunity to enter a prize draw to win a Special Edition RTV-X900 as part of Kubota’s new campaign, ‘Work Safe With Kubota,’ which aims to raise £250,000 for 20 Air Ambulance charities across the UK. ISOBUS Universal Terminal IsoMatch Tellus PRO will be added to the current IsoMatch product range by Kubota.